American National Tartan Home | About Us | Opportunities | Sponsorships | Contact Us! Today I have the pleasure of interviewing Kenneth MacDonald from Houston Kiltmakers, regarded as the world’s leading designer / craftsman of Handmade Scottish Tartans. Ken designed the ‘American National Tartan’, which was presented to US President George W. Bush in 2004 to commemorate Tartan Day. 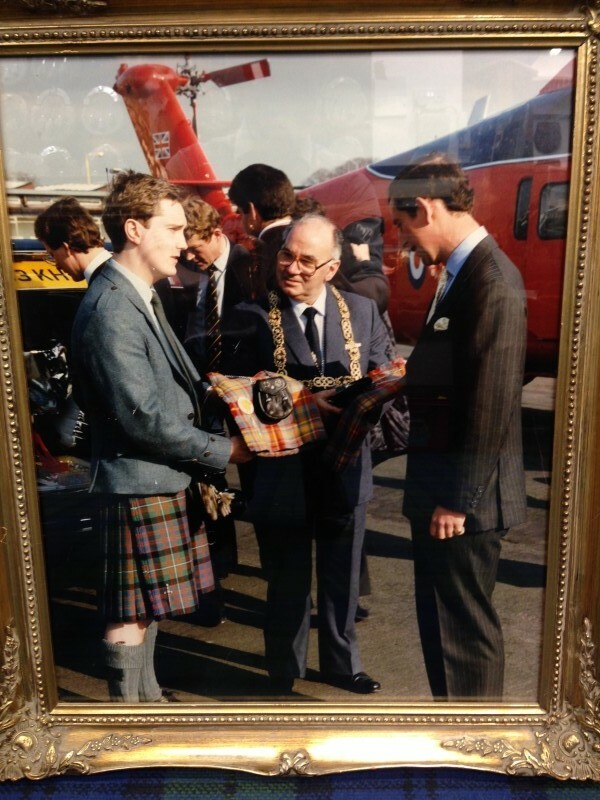 He also designed the ‘Glasgow Mile’s Better’ Tartan, which he personally presented to the British Royal Family. 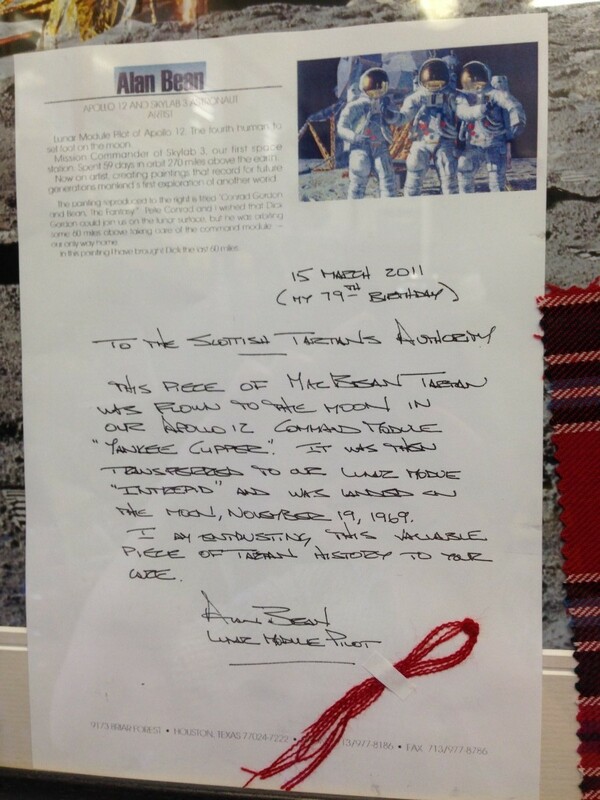 He also has a piece of Tartan that travelled to the Moon! I feel privileged to have access to a master craftsman of his caliber. I hope everyone enjoys reading about Ken MacDonald’s work and story. Ken you are widely regarded as the world’s leading authority on highlandwear, tartans and tailoring, tell us about yourself and your journey? The shop was founded in 1909 by my grandfather William Houston as a gentlemen’s outfitters. Over time it developed to supplying Highlandwear and now that’s what we focus on. 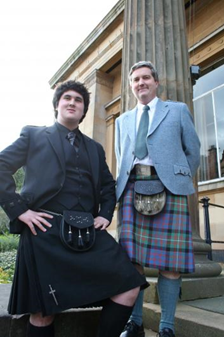 Houston Kiltmakers is now a 4th Generation family run business. Using only the best materials Sourced in Scotland, every kilt is handmade and tailored specifically for the customer by craftsmen and women ensuring that it lasts a lifetime. 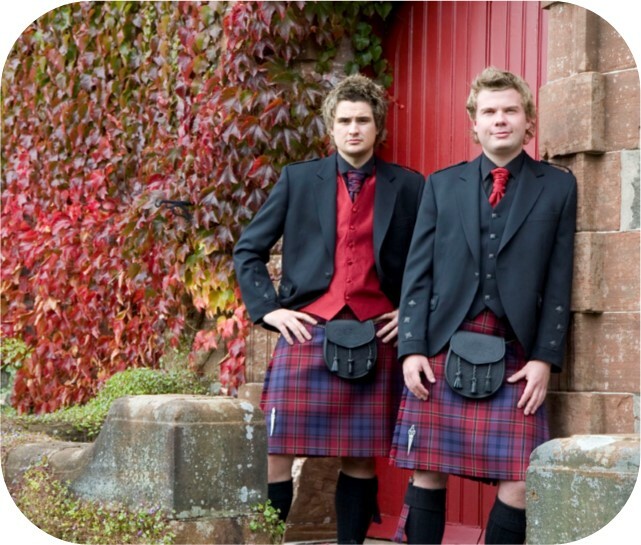 As we have grown over the years we have expanded and now ship Kilts all over the world! The store is located in Paisley, Scotland (A town right next to Glasgow), where I was born. From a very young age I received my first Kilt and also wore a Kilt to school. I have always had a passion for Highlandwear and I’ve been lucky enough to have an opportunity to work in this industry. I have been involved in Kilt making and Tartan Design for almost 40 years now. Tartan and Kilts are synonymous with Scotland and these traditions have to be safeguarded. As a Governor and Vice Chairman of the Scottish Tartan Authority we have been working hard to try to protect and preserve these key pieces of Scottish heritage for future generations. In 2004 you personally designed the American National Tartan which was presented to the United States president George W. Bush, how did that make you feel? It was a great honor to be involved in the creation of such a prestigious tartan. The tartan represents the bond between the Scottish and American people. As you know many Americans have roots in Scotland with ancestors immigrating across the Atlantic, so I still feel that there is a strong connection. Events like the New York Tartan week show that these connections are still being celebrated today. The tartan was presented to the American Consulate in Edinburgh by the Scottish Government on behalf of the People of Scotland. 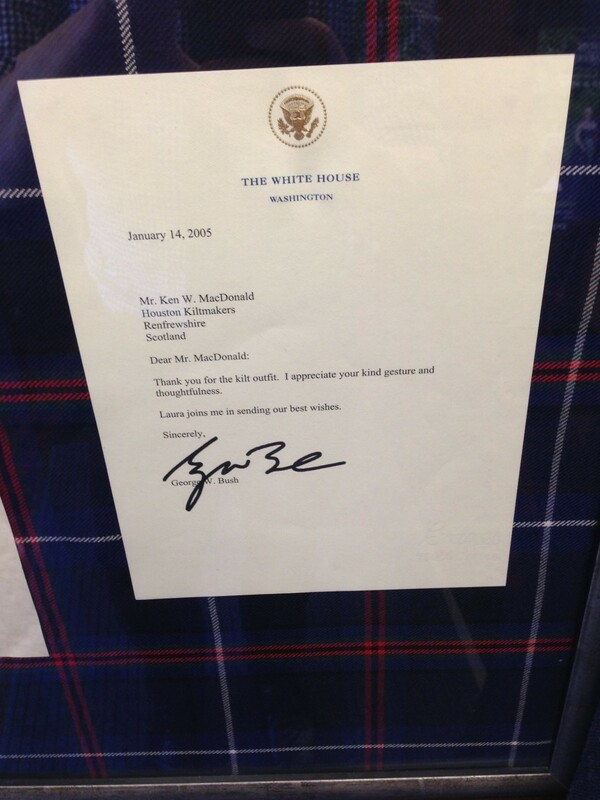 It was then presented to George W. Bush, commemorating National Tartan Day in 2004. The American National Tartan was an instant success and has remained a popular tartan design for Kilts, especially in the United States. If a customer’s family name isn’t associated with a Clan tartan the America National Tartan is a fine choice for a Kilt with a deep meaning and historic background. What is your favorite place in the United States and why is it so important to you? That’s a difficult question, but I would have to say New York. There is a strong energy about the place, the atmosphere is electric. The scale and density of the buildings in the city is stunning. Yet with the busy and hectic environment everything seems to move with a synergy, everything working together to keep the city ticking over. Another place that interests me in the States is the Kennedy Space Centre. I was 10 years old when the Apollo 11 mission landed on the Moon, and can still remember the TV footage vividly. The thought of humans travelling to such faraway places seemed inconceivable, yet they managed it, it was really amazing. Tartan has a few links to space too. In the Apollo 12 mission astronaut Cpt. 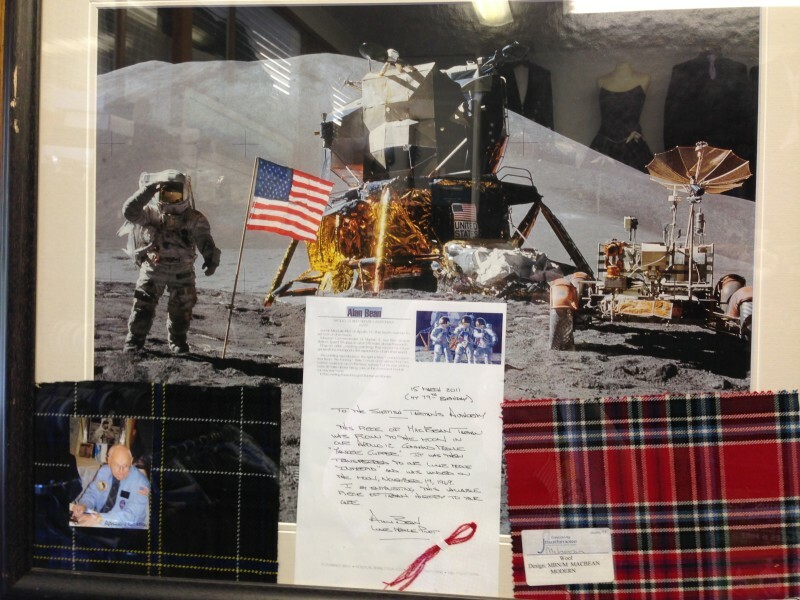 Alan Bean smuggled a length of tartan material in the ‘MacBean’ tartan to the Moon. We have a cut of the material in our shop on display after he sent a sample and a letter to the Scottish Tartan Authority. Last year we sent Cpt. Alan Bean a MacBean Tartan Tie and MacBean Family Crest gift set. Why do you think that handmade are a great option for men? Why should people support handmade? 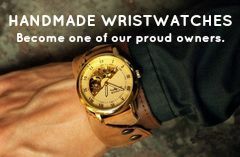 Why should people buy handmade for the men in their lives? Handmade items have a sense of personalization about them. When purchasing a Kilt we make sure that it is tailored perfectly for the customer and every fine detail finished to the highest standard. Customers choose the Tartan they wish, material weight, style of finish. Every measurement is taken and checked to make sure that the finished Kilt fits the customer exquisitely. 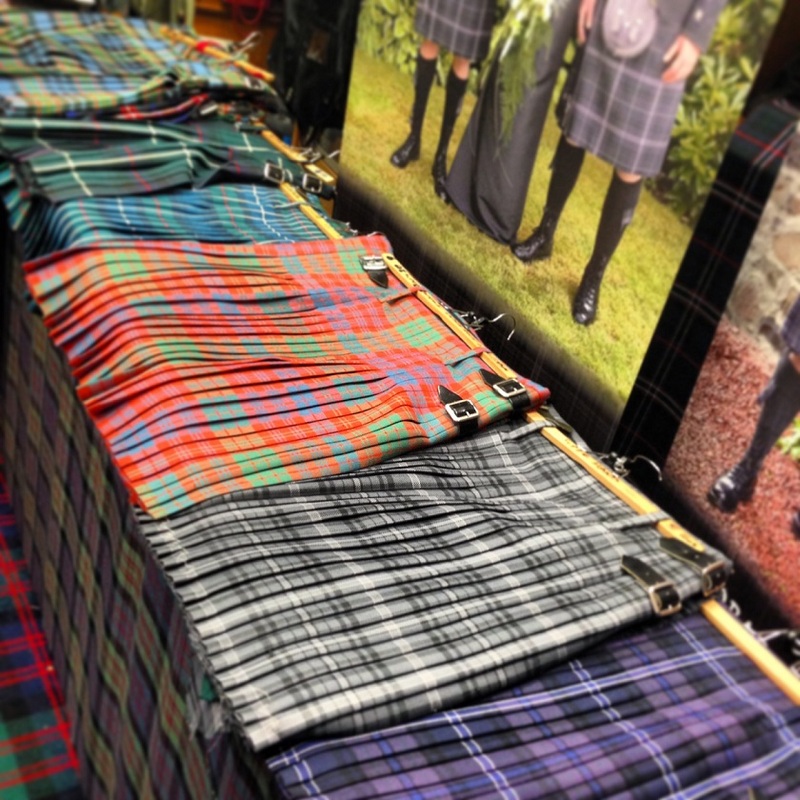 There are many cheaper, mass produced Kilts on the market, but they don’t have the same feel or sit and swing as well as a traditional handmade wool Kilt. Handmade items give the sense that the product is unique and crafted perfectly. Have you ever designed or provided Tartans for the British Royal Family? Back in 1988 I was asked to design a tartan for use for the staff uniforms at the Glasgow Garden Festival. The ‘Glasgow’s Miles Better’ tartan I designed was used for these uniforms, and when HRH Prince Charles came to visit the festival he was presented with two Kilts in the tartan for his sons, Prince William and Prince Harry. It was a great privilege to be able to present the Kilts to HRH Prince Charles in person. Tartan has strong links to the royal family, with King George VI leading the revival of Kilt wearing in Scotland in the 19th century and Queen Victoria had a love for tartan too, her husband Prince Albert designed the Balmoral tartan exclusively for Royal use. It was great to see that the royal interest in tartan is still strong. Where do you get your inspiration for new design ideas? I get ideas for new Tartan designs from many places, but I would have to say that a strong inspiration for me is the Isle of Bute. I spend quite a bit of my free time on this small island off the west coast of Scotland at my holiday home there. It is good to get away from the hustle and bustle of the city sometimes to help yourself get creative. 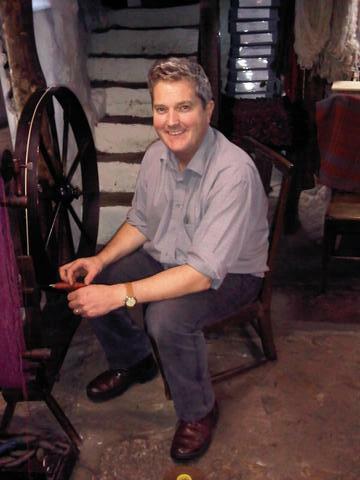 I designed our exclusive Bute Heather range of tartans on the island and they really are a strong influence on my work. The scenery on the Island is beautiful and it’s hard to believe that somewhere so peaceful is only a little over an hour away from Glasgow. Even though it is an obvious choice I would have to say the Kilt is one of my favorite pieces of design. The way in which 8 yards (Approx. 22.2 Feet) of wool material is crafted into a piece that wraps comfortably around your waist really is a great piece of design. Obviously they have had hundreds of years to perfect the design, but the techniques used to makes Kilts today are still very similar to how they were created years ago. All of our Kiltmakers have many years of experience making Kilts so you know you are getting the best Kilt money can buy. If you could sit down and drink any Single Malt Whisky in the world what would you choose and why? That is a tough choice, but I would have to choose Bunnahabhain from the Isle of Islay. I support independent breweries and I’m a fan of the distillers on Islay. There are so many different Whisky’s to choose from, all with different flavor and distinctions. It is hard to think of anything better than sitting down with a glass of Bunnahabhain while relaxing on Bute, sitting out on the porch watching the stunning Scottish scenery. Why do you think there is such a strong connection between Scotland and the United States? I think if you look at the history between the two countries then it is easy to see why the links between the countries are so strong. Many Americans can say that they have a relative at some level that hailed from these shores. 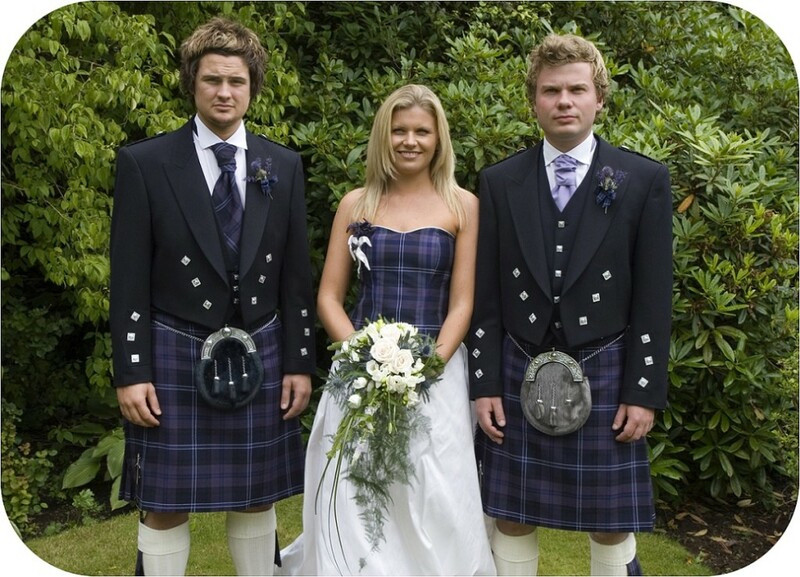 Americans can usually link their family name back to a Scottish clan or district. With information available so freely on the internet they can easily find out what area their relatives came from, what tartan is associated with their name and look through their clan history. 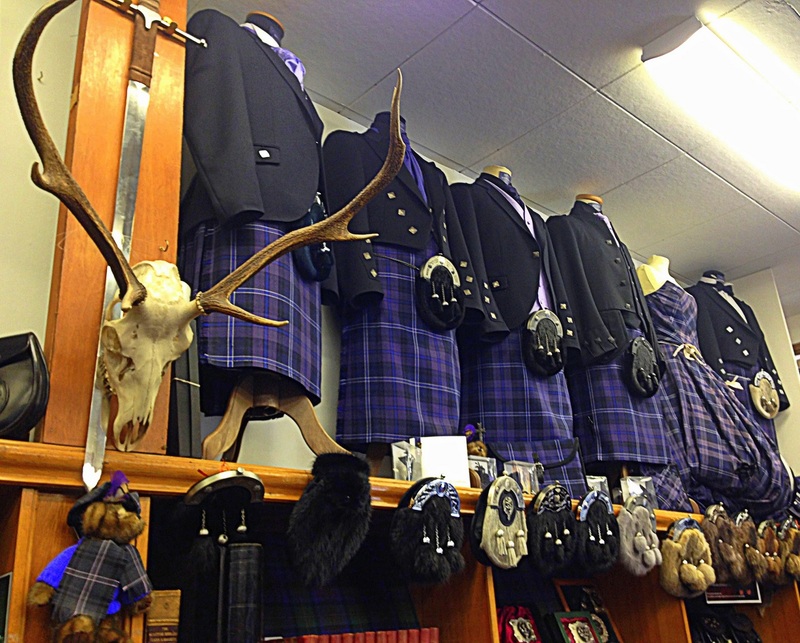 We sell lots of Kilts all over the world (At Tax-Free prices outside the EU!) but the US takes up a large proportion, so it’s clear to see that Americans are making the connections back to their roots. Our website has a Tartan Finder, where you can type in your family name and it will bring up all related clan tartans or suggest related Septs (Family Groups). This is handy if your family name doesn’t have a specific tartan as it suggests tartans related to your name. What are your plans for Houston Kiltmakers Scotland? Any news or sneak peeks at things our readers can look for in coming months? We recently launched a new tartan in our Bute Heather range, ‘Bute Heather Kyles’, named after the Kyles of Bute. Tagged American National Tartan, handmade, Houston Kiltmakers, Kilts, Scottish Handmade, Tartan. Bookmark the permalink.